Now that’s what I call a publicity stunt! 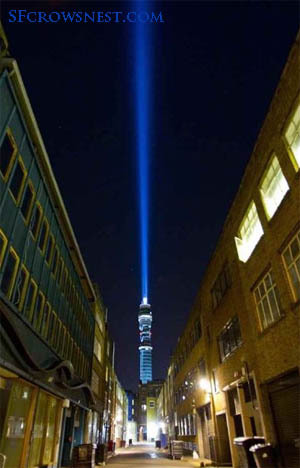 To celebrate the launch of the new Star Wars Blu-ray in the UK, Uncle George has paid for the BT Telecom Tower to be remodelled as a lightsaber at night. Looks pretty. Mayor Boris Johnson may threaten to cut your heads off and embrace the dark side, though, if you don’t vote for him in the next local elections. Go to the centre of London’s gravity, and find your tower you will.